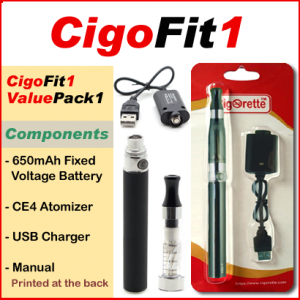 CigoKit7 from Cigorette Inc is a smart and affordable starter kit that contains two 1300-mAh batteries. Moreover, those batteries are of a fixed voltage and 510 threading type. 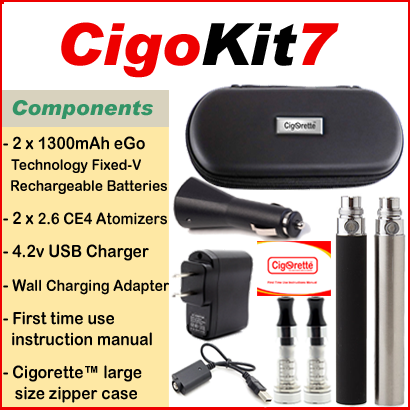 Also, Cigokit7 has two 2.6-ohm atomizers, 4.2 volt USB charger, wall charging adapter, car charging adapter, and a first-time use instruction manual. Finally, CigoKit7 is available in Cigorette™ large size leather zipper case. 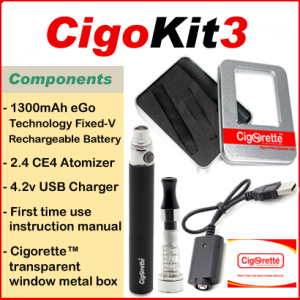 Hey Buddy!, I found this information for you: "CigoKit7". 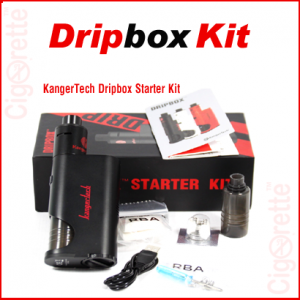 Here is the website link: //www.cigorette.com/shop/kits/cigokit/cigokit7/. Thank you.